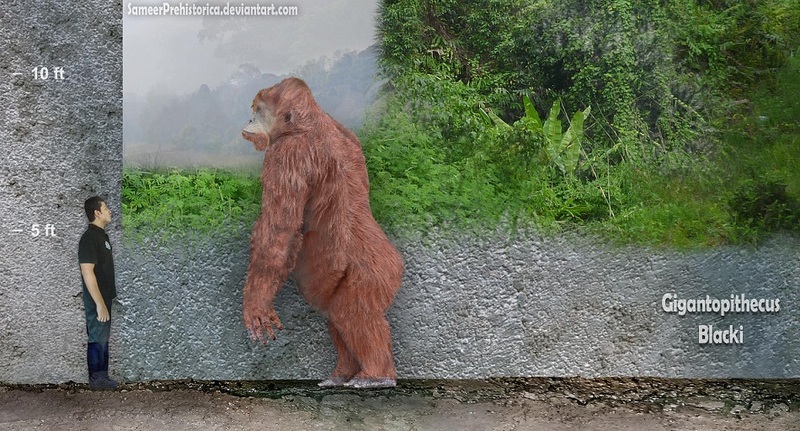 Gigantopithecus is an extinct ape genus which lived approximately 6 million to 200,000 years ago – from the Miocene Period through the Pleistocene Period. 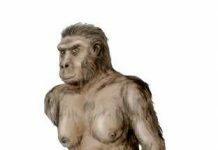 Surprisingly, the first fossils of this ape were found in an apothecary shop in China by Ralph von Koenigswald. 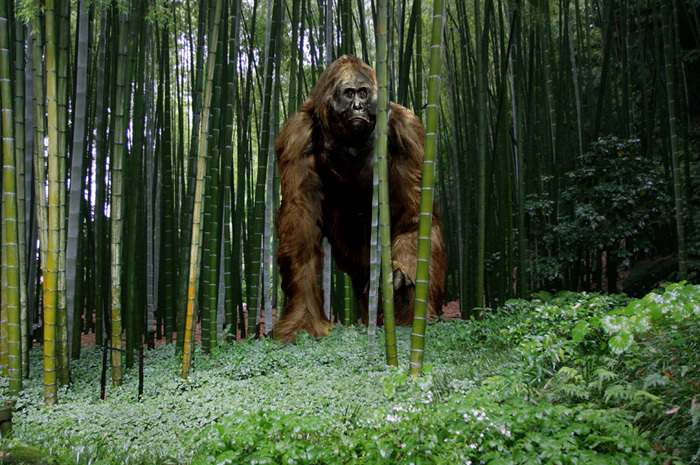 Sometimes, fossils were ground up in traditional Asia medicine to be used in medicines, which appears to have been the case with Gigantopithecus. As a result, scientists have only scattered fossils to rely on. 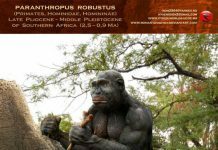 What they do know, however, is that it was a very large ape – which is why it was given its name in 1935 by Ralph von Koenigswald, a name which means “giant ape”. 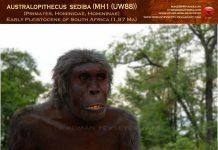 If you take a close look at Gigantopithecus, especially ones that depict these apes next to humans, and you’ll see why these apes were given their name. 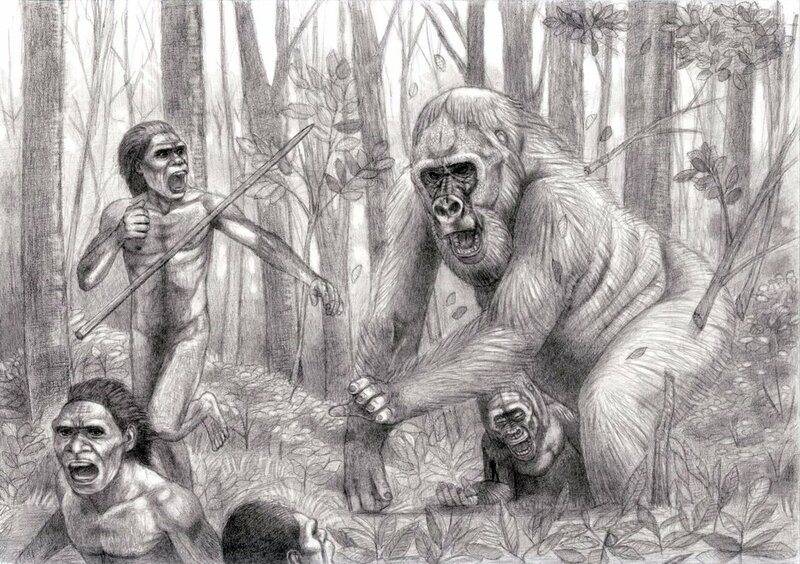 They were enormous – standing approximately 9 feet tall and weighing around 1,000 pounds. 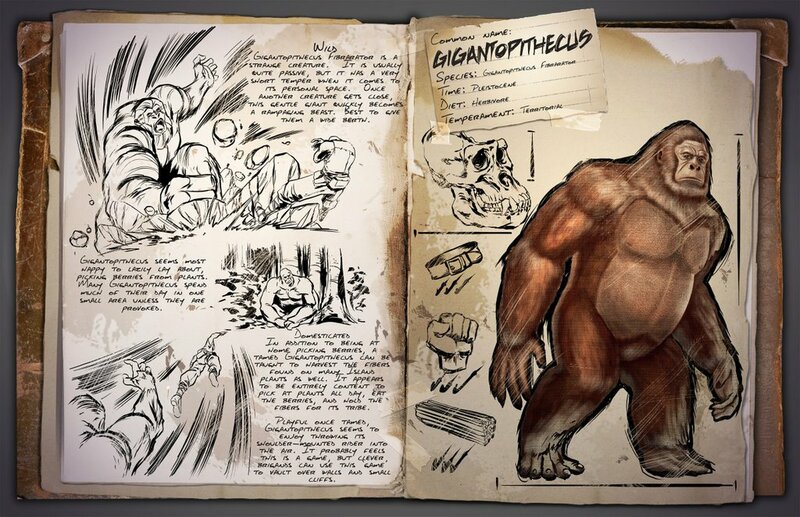 An interesting fact about Gigantopithecus is that judging them according to their great size, then they must have been extremely strong. They could have been anywhere from 12 to 20 times stronger than a modern human being! Some cryptozoologists believe that these apes never went extinct. They believe that they are still living high up in the Himalayan Mountains and are now living as a mythological creature known as a Yeti. 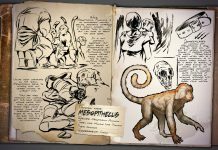 However, this has been thoroughly disputed by genuine scientists because there is no credible evidence that any sort of creature like that is still alive today. 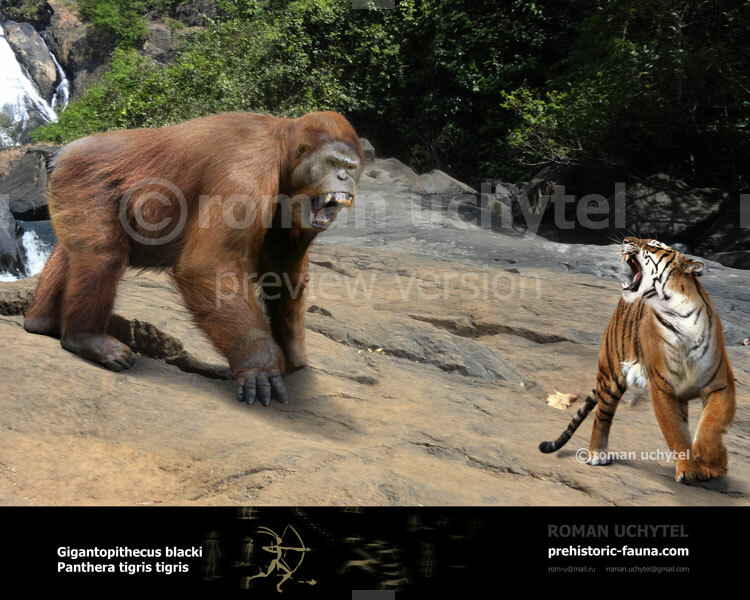 Gigantopithecus is believed, however, to have had an unusual diet. 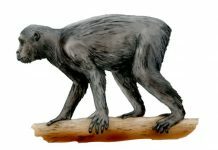 Examining the cavities of the fossilized teeth of these apes, scientists have discovered that they most likely lived on a diet of bamboo – much like a modern panda does today. 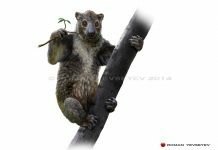 Which is kind of odd for apes because they usually live on fruits and vegetation. Scientists can’t decide whether these apes walked on their knuckles like modern gorillas or if they were capable of standing on their hind legs. 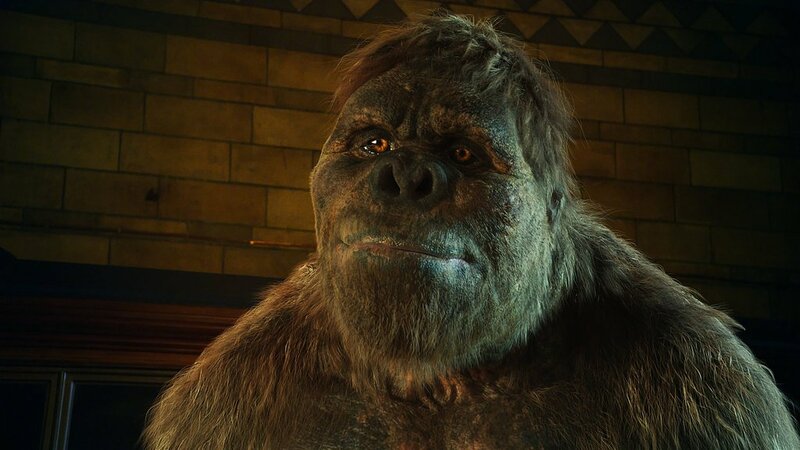 Some paleontologists believe that they walked on all fours like a gorilla but were capable of standing up when they had to but didn’t walk on two legs.